Daily Deer 9/15/14 - the4pointer.com | Real Hunts. Unreal Stories. Well Hello Opening Day! How abut we kick off the season with a NH archery buck that took top honors in the Northeast Big Buck Club back in 2010 for the largest non-typical killed with a bow. Sweet! Happy Hunting Everyone! Kyle Gould shot this double drop tine buck at 30 yards on the first Saturday of the 2010 NH Archery season. 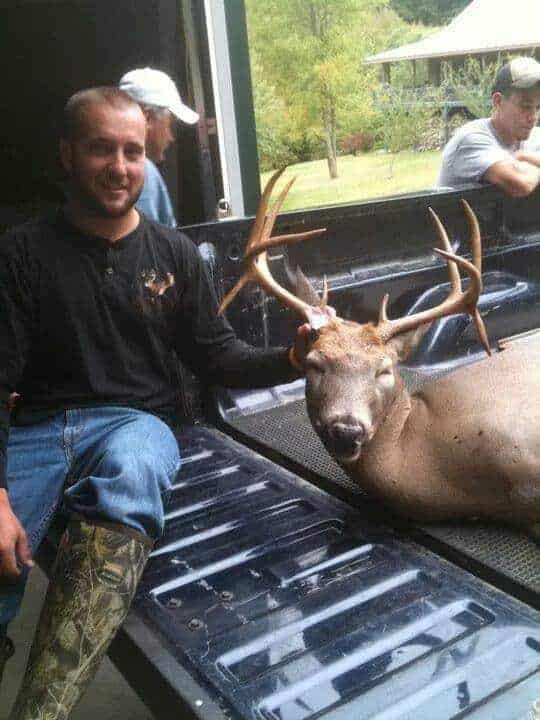 The buck weighed 150lbs.